Be it the expansion of Open Banking or the growing fondness for Phygital Delivery, the face of Digital Banking, as we know it, is changing rapidly. In an era of Fintech and digital disruption, the importance of innovation and developing new solutions that take advantage of data, advanced analytics, digital technologies and new delivery platforms cannot be undermined. The banking sector is at a cross-road, where only the banks that have a clear digital and innovation strategy will stand out from the rest and will be able to offer one-of-a-kind customer experience. The year 2019, is going to witness a lot more changes and transformations that is going to revolutionise the financial services sector. As technologies continue to evolve, the banking sector will continue to accelerate its investments in innovation and digital enhancements. The sector needs new, innovative and top-quality systems to stay ahead in this competitive and intense market. One crucial step towards this is to choose the right partner to help you in this journey of rediscovery. 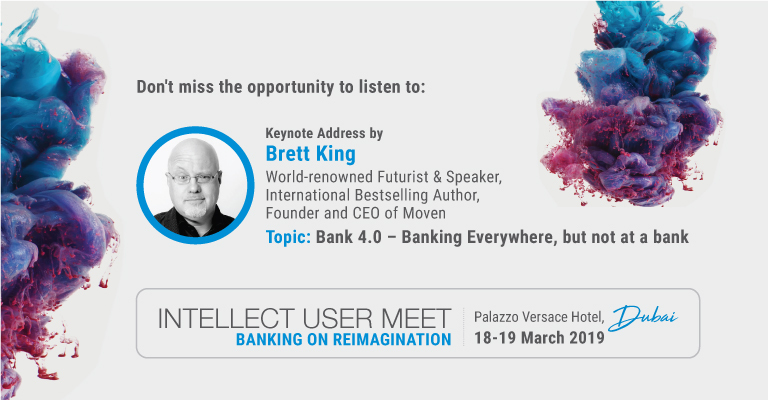 Join us at Intellect User Meet, 2019 – Banking on Reimagination, which will provide you with the right platform to discuss and deliberate on these emerging trends and how your organisation can stay ahead. Intellect User Meet, 2019 is not just another FinTech conference; it is a marketplace of ideas and relationships, an event guaranteed to drive impact. Intellect User Meet will tackle the biggest disruptors for banks in the near future - from the emergence of challenger banks to the cutting-edge advances in Artificial Intelligence and the drive for greater financial inclusion across the globe. Engage in some insightful panel discussions, develop winning strategies by speaking to our experts and analysts, learn how digital technologies (Contextual Banking, Digital Face, Artificial Intelligence, Machine Learning) can enhance your business performance, and get hands-on experience of the 2020 user journeys and deployment of products. All this and more awaits you at the event. So, come – Shape and Co-create the Intellect Suite 2020 with us! 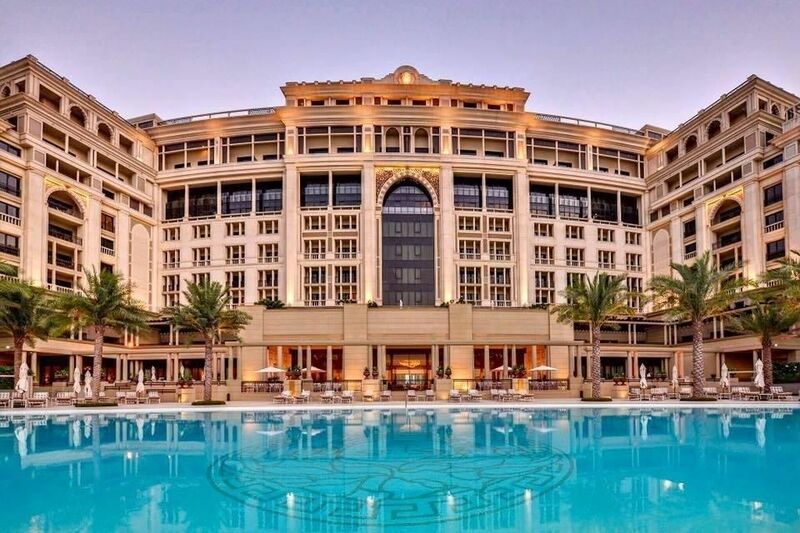 The magnificent Palazzo Versace, Dubai has been chosen for this first-ever User Meet. Upon your arrival in Dubai, you will be hosted at this luxurious hotel, which is located in the heart of the Jaddaf Waterfront, and just minutes away from the Dubai International Airport. Enjoy great views of the Dubai Creek and experience some neoclassical architecture with a few traces of the Arabic architecture as well. Every nook and corner of the Palazzo Versace exhibits absolute grandeur and is an apt setting for the User Meet. You will be our guests from March 17th to March 19th, 2019, where Intellect will take care of your logistics, food and entertainment, et al, as you delve into the tomorrow of Digital Banking, today. We look forward to seeing you at the first-ever Intellect User Meet!